Can you close the hood a bit? Rust likes it under there. Pontiac Firebird production topped 53,125 in 1971. You can spot a 1971 Firebird by the horizontal louvers on the side of the fenders. This bird is fortunate to be high and relatively dry in the humid southern climate of Louisiana. 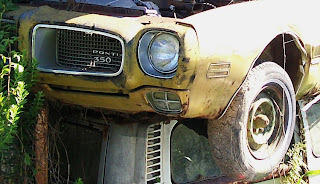 This junkyard owner extended the life of a few Firebird parts by elevating the Pontiac on top of the Volkswagen. You can tell a lot about the junkyard owner by his car stacking. It’s his pecking order. I can tell this guy drives a domestic. Too bad for you VW guys. I don’t know which is worse? 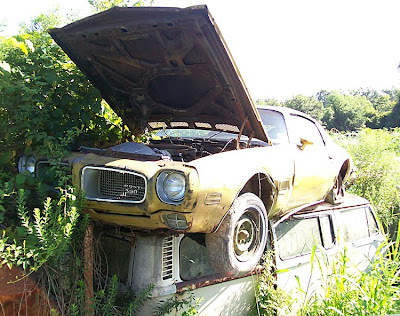 This Firebird wearing a Camaro spoiler or watching the Firebird rust away. 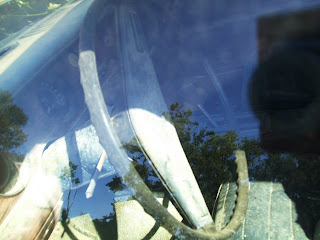 The VIN # on this Firebird is 223871N133544. 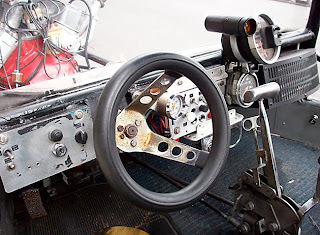 133544 - Sequential production number starts with 100001 for V8 in 1971. 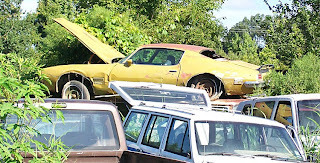 It was the 33,544 Firebird produced in 1971. Pontiac 350 cubic inch engine rests under the hood of this 1971 Pontiac Firebird. 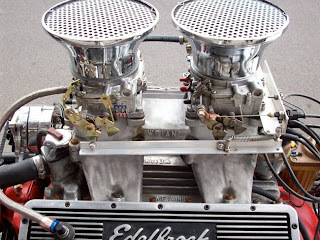 2-barrel carb? Probably. 160 MPH speedometer, check. Mold colored seats, check. Patina is beautiful. Junkyard savants know that patina doesn’t come easy. It is an acquired change produced by age, wear or exposure to the elements. 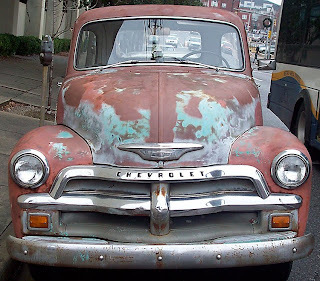 It’s a different breed of owner who drives a vehicle wearing patina. I met one such owner who made no excuses and had no plans of changing his truck’s historic look. 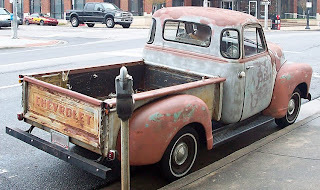 This 1954 Chevrolet 3100 wheeled to the curb at a busy Birmingham, Alabama intersection. I spotted the peerlessly patinaed truck and made a bee-line for my camera. I had to be quick if I was going to head off the driver for some details. I caught the fleet-footed, silver-haired gentleman as he made his way back to his truck after wrapping up his business matters. "It's a 1954," he said. He batted away a few other questions, "No, you can't have my name. I live on the west side of town." I pressed on. This five-window truck has the historic look of millions of miles and a million stories. He did not seem flattered with the fuss I made over his old truck. “I’ve owned the truck for 20 years,” he said as I took a photo and followed him across the street. I asked him if I could take more photos. "Sure, as long as I'm not in them." He paused long enough for me to snap one more photo before he climbed aboard. I couldn’t resist taking another from the tailgate view as he slammed the door shut. Parting words from the eccentric driver. "Everybody wants to buy it, but all they want to give is $300." He fired up the truck, shifted the manual transmission into gear and drove away. Got cool car stories, photos? Send them to junkyardlife here. 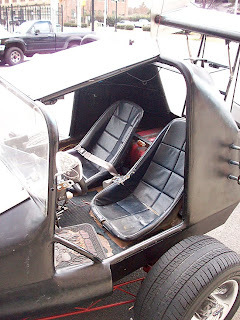 Drive your dragster to work lately? 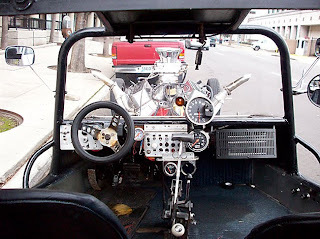 Birmingham, Alabama's Bryon Hall drove what he calls his 1972 Volkswagen rail to work recently. 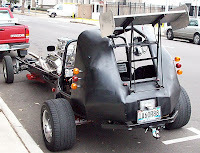 Hall, a City Action Partnership (CAP) patrolman, has to keep his vehicle registration and insurance papers handy whenever he takes his radical VW out for a spin. 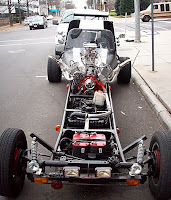 Law enforcement officer's eyes light up when they see the tube frame chassis mounted with a Big Block Chevy engine on the street. "They want to see if I have insurance on it," Hall says. 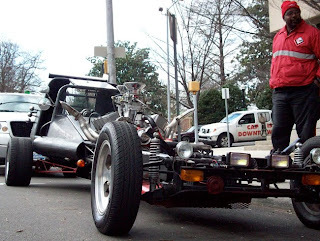 The 18-foot long VW resembles a top fuel dragster. 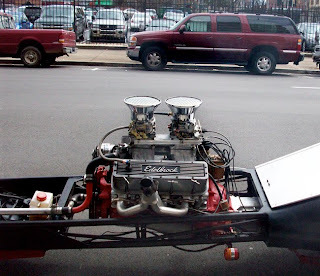 Hall and his dad spent two months building the 'rat rod' rail job from start to finish. 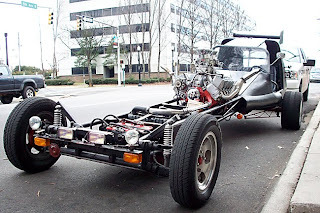 They started with a chromoly tube frame, flexible steel that has an excellent strength to weight ratio, and extended it by 6 feet. The VW's centerpiece is a 550 horsepower V8 Chevrolet engine. 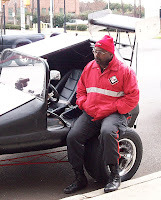 Hall shifts the gears of his winged ride with a 4-speed transmission. 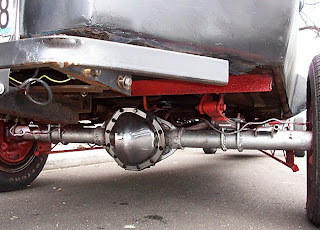 A 4.56 gear ratio 12-bolt rear end sits right under the seats of the VW. The powerful engine has lifted the front wheels a time or two but Hall says he does his racing at the track, not on the street. Hall says wheeling the VW rail into a parking spot is a snap. Parallel parking downtown, no problem. Hall has excellent visibility from the cab of the VW. The lack of body panels does have its drawbacks. 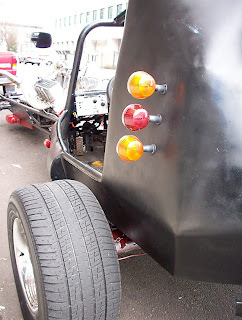 If not careful, the driver can easily skin their elbow on the left rear tire while the VW is moving. Hall plans to add some type of doors to keep the wind down in cooler weather. He has been caught driving in the rain and was forced to pull over and wait it out. Plan on seeing Hall's VW at your local cruise-ins and car shows this year. "I'm going to put it in a lot of shows. 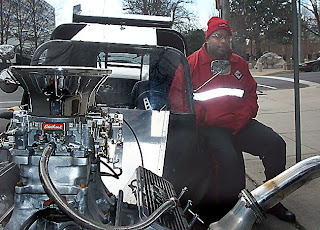 I might even drive it to a car show in Montgomery," Hall said. When asked what his wife thought about his wild ride Hall smiled and said, "she upped my life insurance policy." 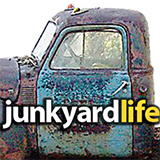 Junkyards can be the cure for cabin fever. Winter doesn’t offer the best weather for exploring junkyards, but any trip away from home during a bleak winter day is my chance to discover some new old cars. I spotted this 1974 Ford Pinto on a cold, wet Saturday at Quinn's Automotive & Wrecker located here in Locust Fork, Alabama. The winter blahs were quickly forgotten at the sight of Ford’s combustible compact car. You think Toyota has image trouble now? The Pinto was the NHTSA posterchild for recalls. Pintos were originally built to battle imported economy cars built by Toyota, VW and Datsun during the gas crunch of the early 1970s. 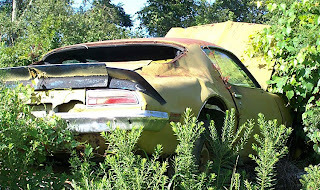 During their 10-year production run, 1971-1980, Pintos earned a reputation as a time bomb waiting for a rear-end collision to happen. That image soured public opinion and made for some screaming deals. 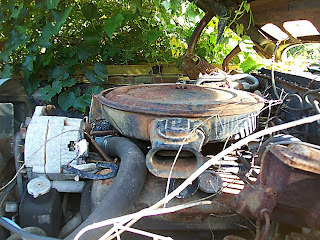 Used Pintos were prime race car fodder for gearheads looking for a lightweight home for their V8 engines. 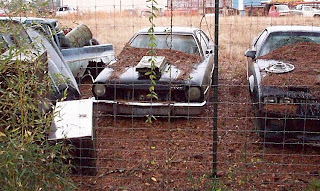 This hood-scooped relic is a prime example of a muscle-bound Pinto waiting to be reclaimed for quarter-mile glory. You’ve been warned. Hop on the Ford Pinto bandwagon before prices jump, or possibly explode, should Hot Rod magazine bombard us with future Pinto coverage overload. Want to know more about Ford Pintos? See this site.